Here at Paul Williams Training Services, we specialise in all aspects of coach & HGV training services throughout Stroud. We pride ourselves on providing the area of Stroud with professional and experienced trainers who are able to educate those who require to gain their HGV or coach licence. Our trainers are fully qualified and have over 20 years’ experience in training individuals regardless of their experience in HGV or coach driving. Our motivation to help our customers become fully trained and gain their licence is paramount here at Paul Williams Training Services; as this is what drives us to become a better training service. At first glance the HGV test requirements can appear daunting; here at Paul Williams Training Services, we pride ourselves on ensuring our candidates are fully prepared for their test in order to minimise that daunting feeling. We pride ourselves on providing our customers with correct information, professional training, thorough practice, self-belief and calmness. The team at Paul Williams believes that these aspects of training are crucial and are the main reason for our high pass rate. 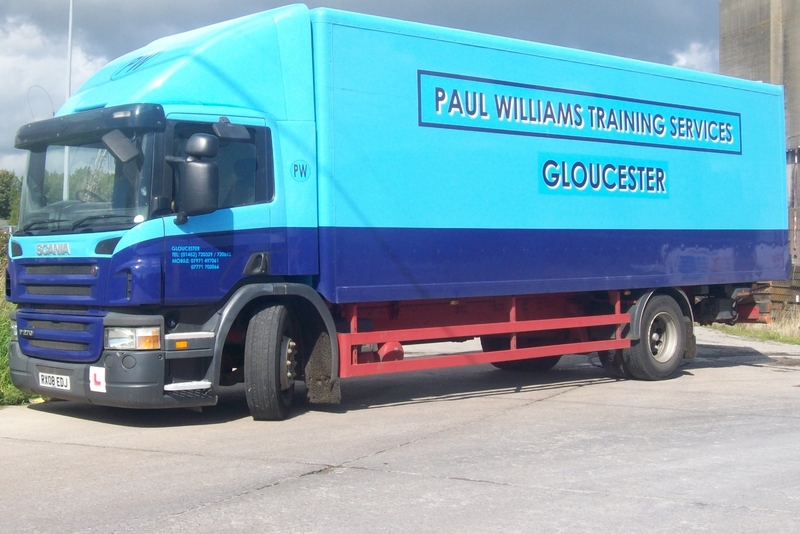 Paul Williams Training Services is based in Gloucester, meaning those who live within the area of Stroud are able to access our training site with ease. Stroud is a market town and civil parish based in the centre of Gloucestershire and is the main town in Stroud District. Stroud is a town filled with historical buildings, bespoke galleries and satisfying scenery. Some common landmarks are Woodchester Mansion, Gallery Pangolin, Stroud Town Clock and St Laurence Church. See more of Stroud’s famous landmarks here. Below are some reviews which we have received from our customers, these reviews are informative and compliment our services in a large amount of detail. Having recently purchased a new caravan and booking a couple of holidays, I found out that I wasn't legally allowed to tow anything larger than a very small trailer. I would therefore need to take another driving test to gain B+E entitlement (this is the same for anyone who passed their test after 1997!). I phoned Paul Williams and they booked my in for an initial no-obligation one hour evaluation (£20). I then arranged for an additional session of training just to ensure I was up to scratch. They supplied a vehicle and trailer (horse box) to use during training and my actual test (which they booked on my behalf). The one-to-one training was very professional and I soon realised I'd picked up some bad habits during my 13 years of driving which needed to be unlearned. If you would like to read more reviews which our customers have provided us with, you can easily do so on our Facebook page. When Are We Available To Train In Stroud? The team here at Paul Williams Training Services work Monday – Friday 8:30am – 4:30pm, as well as Saturday 8:30am – 12:30pm. During our working hours we are committed to providing individuals with specific HGV and coach training in order for them to sit required tests to gain their licence. If you would like to find out more information regarding our HGV and coach training services, please don’t hesitate to get in touch with our team today on 0845 136 8147 or 07771 702066. Alternatively, you are able to contact us via our contact form.